It was rumoured to be on its way but today popular US bookstore chain Barnes & Noble announced that it has released an 8GB version of its Nook Tablet, aligning itself to go toe-to-toe with Amazon and its Kindle Fire device. 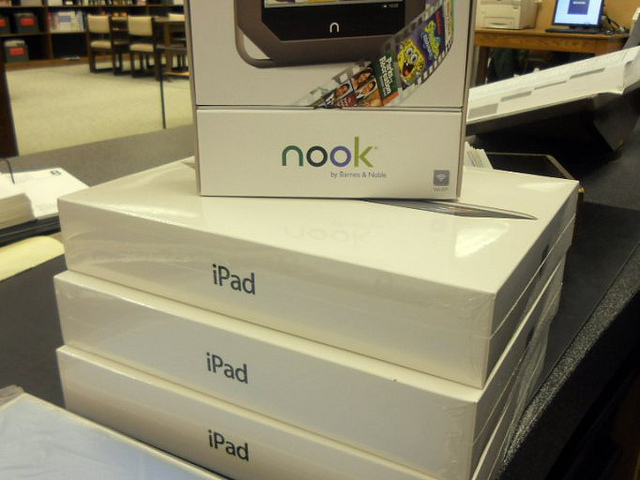 With Amazon’s Kindle Fire retailing at the same price, Barnes & Noble is hoping that customers notice the Nook Tablet after it struggled to match sales of its rival tablet, which is now the second bestselling tablet in the US behind the iPad. Barnes & Noble has also slashed $30 from the price of its NOOK Color e-reader, which is now $169. The 8GB model will ship with 512MB RAM but will still deliver deep media integration, including Hulu Plus and Netflix, support for games and other Android applications.